The months of April and May can offer very good trout fishing opportunities. Brown trout are well aware of the need to put on weight leading up to their annual spawning cycle. Now that many of the hatches are coming to an end, they are becoming more opportunistic feeders, once again. As the brown trout season nears its end on the Sunday nearest to the 30th of April, male brown trout become very aggressive as they begin to pair up with potential females. Big wet flies, plastics and lures are often hit, just to get them out of their territory. Rainbows on the other hand, usually spawn later in the year with their closing season reflecting this by finishing one month later on the Sunday closest to the 31 st of May. So rainbows are mostly unaffected by the urge to spawn and continue to feed as normal right through to May. I began spinning for trout in 1965 in the Finnis River, Yundi, South. Australia, at the age of 19. Now at the age of 67 I am still loving it just as much, if not more than the first time. 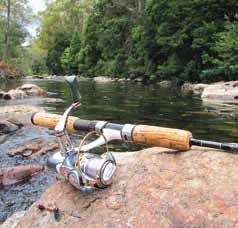 I now live at Sheffield, Tasmania and spin the rivers in the north, and in my opinion they are some of the best rivers in the State to fish. The Meander, Mersey, Leven, Iris, Vale, Emu and Flowerdale rivers are just a few of the many across the NorthWest to try. Fishing with other people is an interesting experience. Fishing with someone new can be like going on a first date, while a day out with a long time mate is more like putting on a comfortable pair of old shoes. A good thing about fishing with someone else is that you get to learn by watching, which can open your mind up to new ideas and techniques. Something else that shows through is that how personality and character can influence flyfishing style. Do you know any two people who are exactly the same? You know what it’s like. Among your friends, you might have the energetic, extroverted type, who fills in all the awkward silences, the jester, or the quiet reserved one, who doesn’t say a lot, but when they do, everyone listens (or at least should). My own circle of fishing buddies is a diverse bunch. We do share set of values and interests - otherwise we wouldn’t be friends I guess. A common love of rivers and streams, wild trout, dry flies, and of course, total catch and release binds us. There are some basics that we all adhere to in terms of technique, but there is a lot of variation in other than key areas. We all catch our share of fish, but don’t count them, certainly not in a “I got five, he got three” type of competitive way. Here is an insight into my fishing mates, what I’ve learnt from them, and proof that there’s more than one way to skin a trout (so to speak)! Over 20 years ago I was lucky enough to be taught to fish lakes like Arthurs by the great angler Shayne Murphy. One of the great lessons that I learnt from Murf was that in many cases you should simply use your boat to get to the best shore fishing locations quickly and efficiently. In those days we would pick the eyes out of the best locations then quickly move on to fresh and similar waters. A few years later I started my guiding career and I bought a beautiful tri hull boat. For many years, just like Murf had taught me, I used this boat for transporting my clients to the best shore fishing locations for the weather and wind conditions. I well remember many times when my wading clients were ‘catching the clappers out of them’ as other anglers and guides drifted by flogging the water for little obvious results. Early season fishing can be very challenging. Too challenging for this mere mortal of a fishing guide so I don’t like to guide before October. You see, I have a problem taking money from clients for what I consider mostly to be sub-standard (read sub- surface) fishing. My clients love sight fishing on warm balmy days. Whilst early season shallow water tailers can offer great sport on lake margins and flooded river edges the weather is anything but balmy and the sport is particularly unreliable. If you are Johnny on the spot, you have good local knowledge of water levels and conditions and you are not scared of frosty, foggy early mornings, then by all means be my guest. You may just find some of the best fishing of the season. Read more: Weight Wait Strike ! 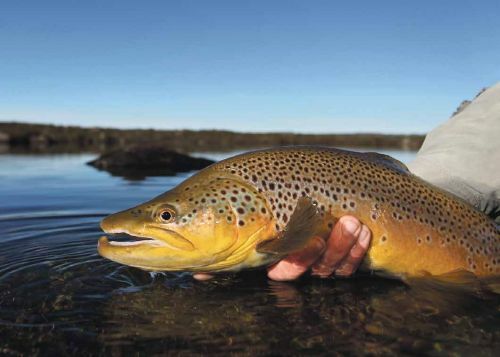 The 29th April 2012 saw the closure of most of our Tasmanian brown trout waters. 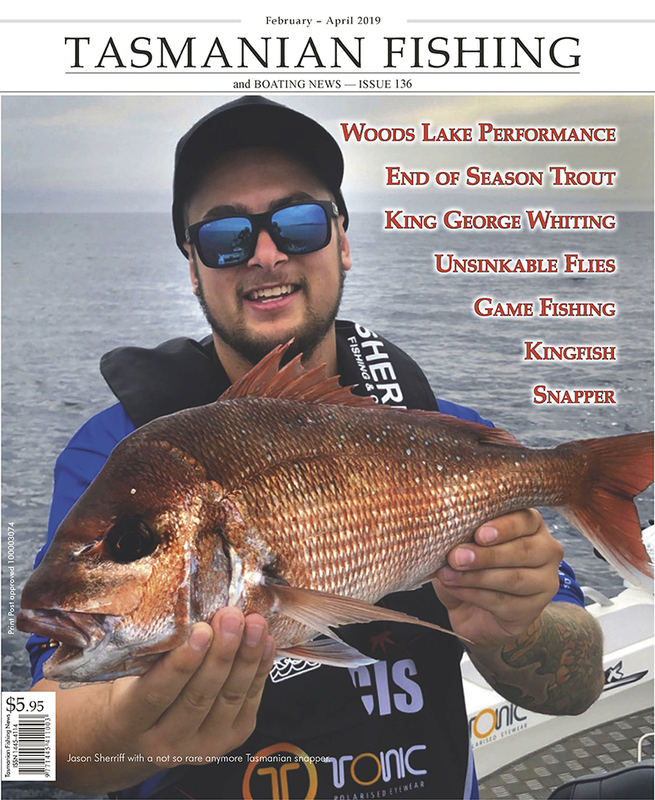 It is a time that, in a strange sort of way, many freshwater anglers look forward to after a long and “hopefully” rewarding summer. 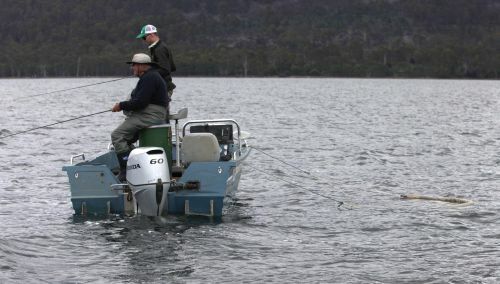 Please check http://www.ifs.tas.gov.au/about-us/fishery-management/recreational-fishery/angling-regulations/seasons-and-waters for current seasons. Read more: Winter Trout The ‘off-season’ fix - If you need one !